Known as "The Little Tiger," Barry boxed from 1891 to 1899 and was one of the first fighters from the light weight classes to gain popularity in America. Although his weight fluctuated between 100 and 115 pounds, Barry is best remembered as a bantamweight. In his first significant bout, Barry knocked out Jack Levy in 17 rounds for the 100-pound world championship. Barry, who was just 5-feet 2-inches tall, had exceptional power for the lighter weight divisions. 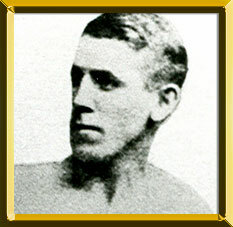 In 1894, Barry claimed the world bantamweight crown [the bantamweight limit at the time ranged from 100 to 112 pounds] when George Dixon graduated to the featherweight class. His 28th-round knockout of Casper Leon solidified that claim. In 1897, Barry traveled to England to meet British champion Walter Croot in a bout that would remove all doubts as to who was the undisputed world bantamweight champ. Barry emerged victorious, knocking Croot out in 20 rounds. However, Croot died because of injuries sustained in the bout. Barry was the never the same fighter again. He fought for two more years and did not score another knockout. His final seven bouts ended in a draw. He engaged in five bouts with Casper Leon. In addition to Barry's knockout, they drew three times and one ended in a No Decision. Barry retired undefeated after a six-round draw with Harry Harris in 1899. Eleven days later future Hall of Famer Terry McGovern knocked out British champ Pedlar Palmer and claimed the vacant bantamweight crown.